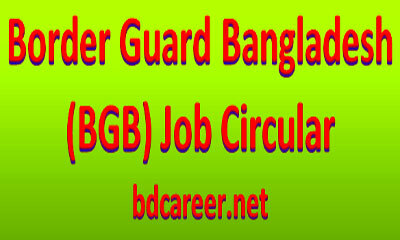 Border Guard Bangladesh BGB Job Circular 2017 on 28 September 2017. SMS based Registration from 04 October to 08 October 2017 at 24:00 P.M. Details Click here. 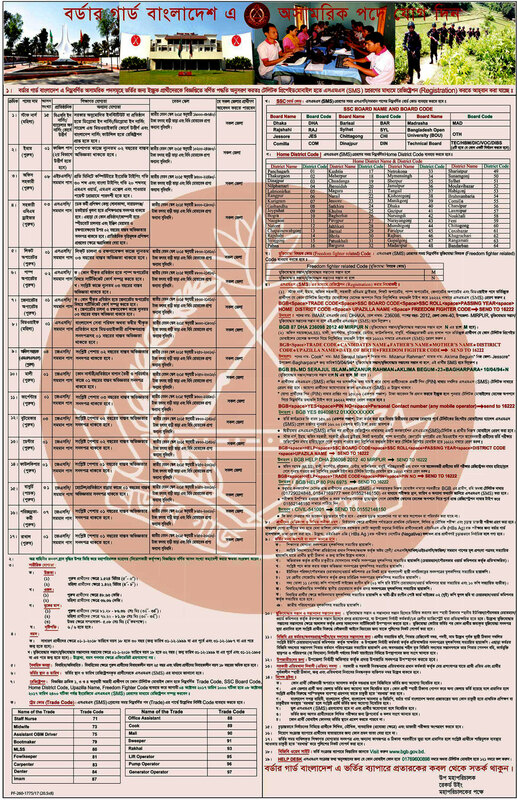 Border Guard Bangladesh (BGB) will recruit Men and Women circulated a recruitment advertising on 28 September 2017. Eligible and Interested Bangladeshi Citizenship Men and Women candidates are requested to Registration after fulfilling the circularized conditions and instructions. Deadline for Submitting SMS based Registration is 08 October 2017 at 24:00 P.M.
SMS based Registration Starting from 04 October 2017 at 10:00 A.M.
SMS based Registration Deadline is 08 October 2017 at 24:00 P.M. 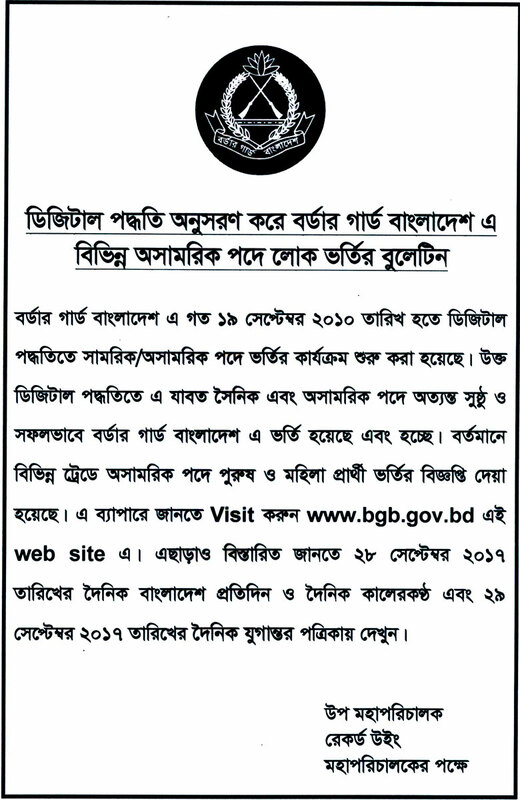 Eligible & Interested Bangladeshi Citizenship Men and Women candidates are requested to Registration after fulfilling the circularized conditions and instructions (Attached Circular Above). Deadline for Submitting SMS based Registration is 08 October 2017 at 24:00 P.M.